Moving out? Give yourself a break from the busy process by letting us clean your recently emptied house. Spruce up the premises to ensure the prompt return of your damage deposit, or as a courtesy to the persons who have purchased your home. Moving in? Start off on the right foot with your new home by having MJM make it spotless for your arrival! MJM will truly make your home "shine" to ensure that your home shows nicely and that you fetch the highest price on sale. 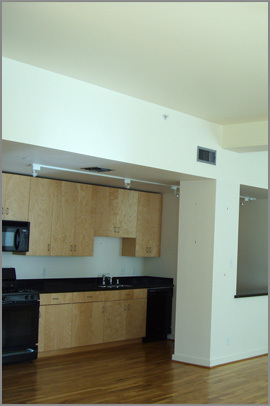 In addition to routine house cleaning, we will "deep clean" walls, ceilings, appliances, shelves, drawers and cabinets. Renovations to your home or office can take their toll on the cleanliness of your space. Dust reaches remote areas, and carpets and surfaces often suffer from ground-in dirt or stain. Subsequent to a renovation MJM will restore your space to new and prevent permanent damage with a deep, comprehensive post-renovation cleaning. As a realtor, you will be well aware of how important it is to present a home for sale that is clean and appears well-maintained. We provide special deals to realtors who employ us for their regular open-house presentations or who recommend us for move-in or move-out services for their clients. In addition to polishing up a home for sale, we can also provide full-blown painting services at very competitive rates, or touch-up painting services in cases where a major investment in a re-painting is not warranted. Purchase our pre-sale cleaning services for your clients to provide a competitive advantage. Or purchase a move-in cleaning service as a "thank-you" gift for your valued clients.